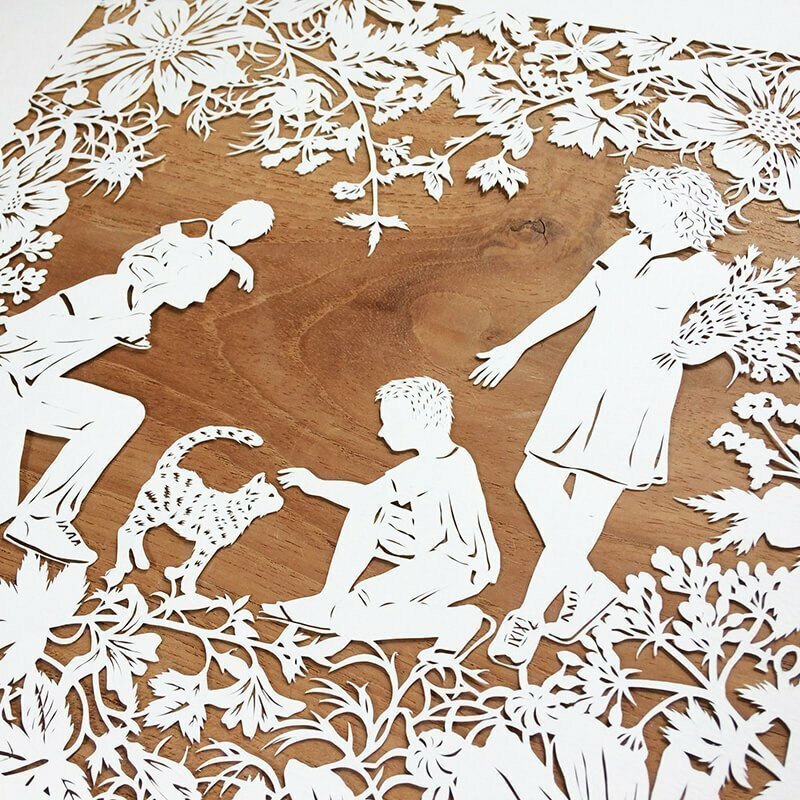 We have just received our second paper cut from Whispering Paper. 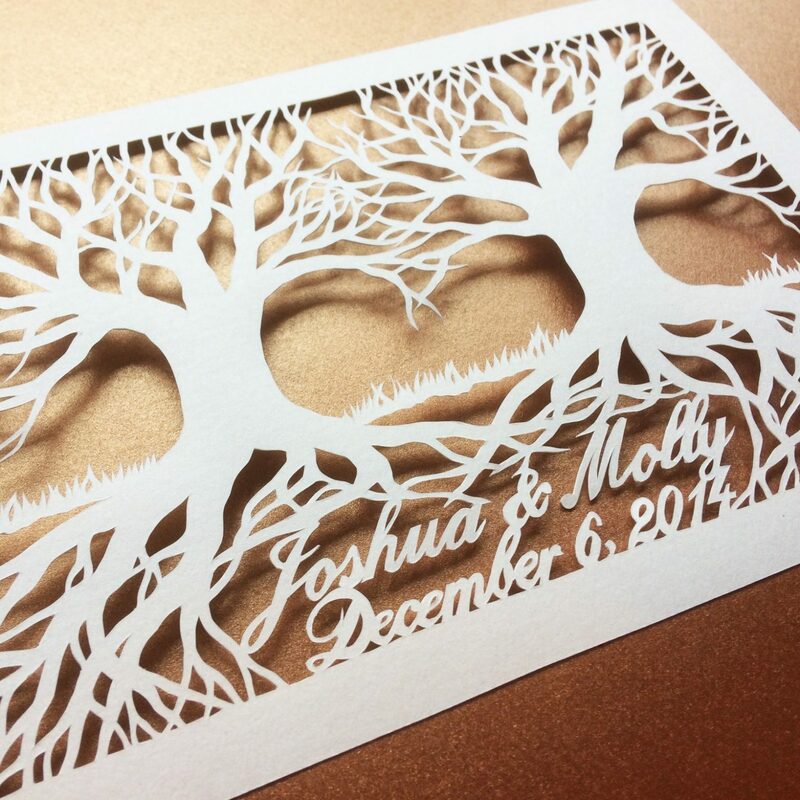 The first one we gave as a wedding gift to some friends. Since we gave them theirs I have wanted one of our own! 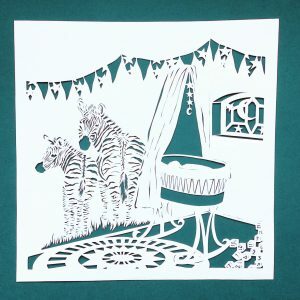 We had a wonderful family holiday in Scotland and so I asked Marthe if she could make us a paper cut to remember it by. 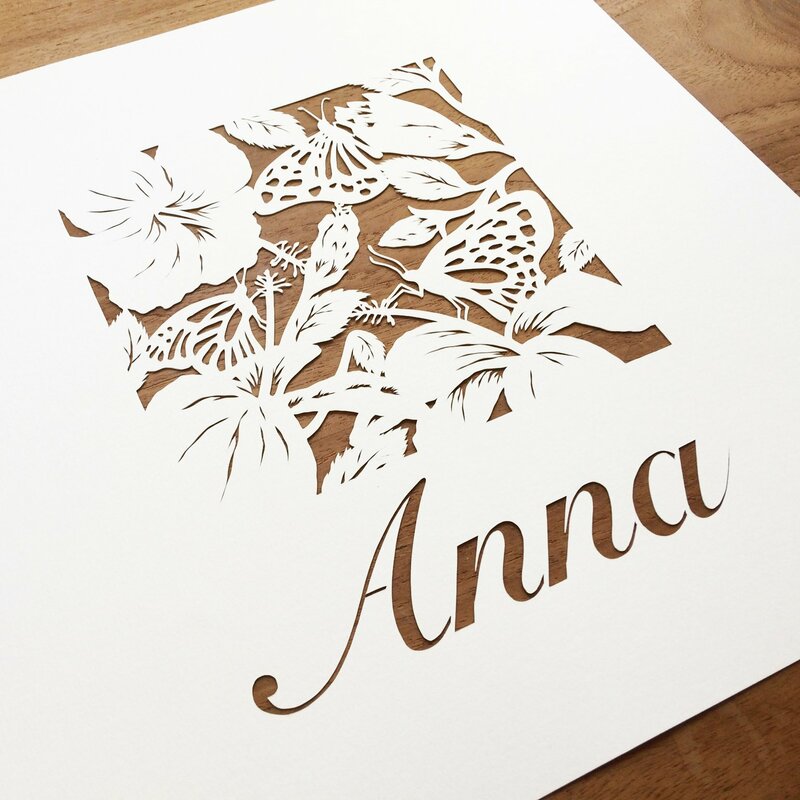 The whole process from initial ideas to design and complete paper cut has been incredibly easy and well thought out. 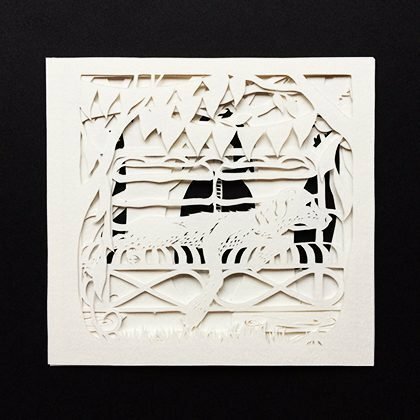 Marthe has great attention to detail and her ability to portray our ideas into the papercut was perfect, better than we could have hoped for! Marthe has great ideas but is also very willing to help get your ideas onto the paper! We have loved working with Marthe and would highly recommend her. 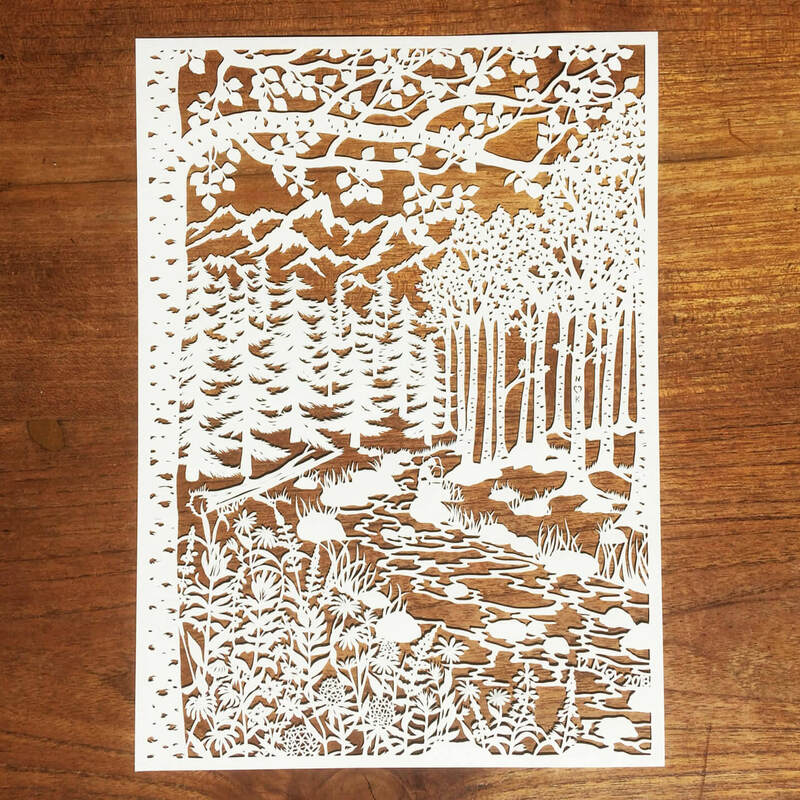 Even the packaging of the papercut was beautiful! Stephanie and I unwrapped it tonight and it’s absolutely extraordinary.! I want to thank you Marthe for the beautiful work you’ve done – the 3 layers and the perspective and depth it gives to the piece is so special – it is a truly beautiful piece of art..! 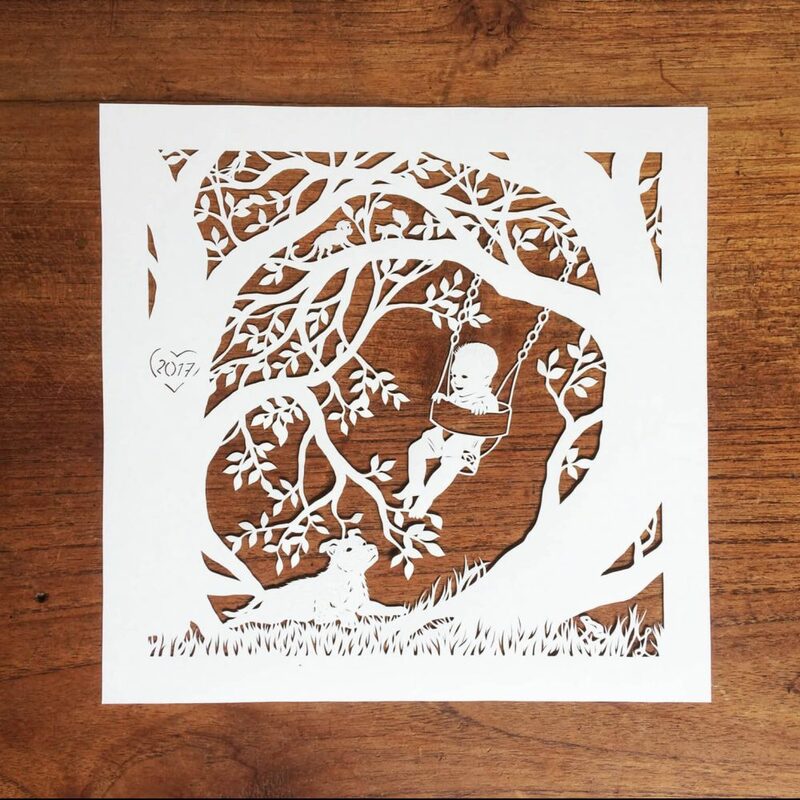 We are both very grateful for having this as an exceptionally unique anniversary present, and a family heirloom keepsake..
Marthe has more than exceeded our expectations with the birth announcement card for our son Guus. 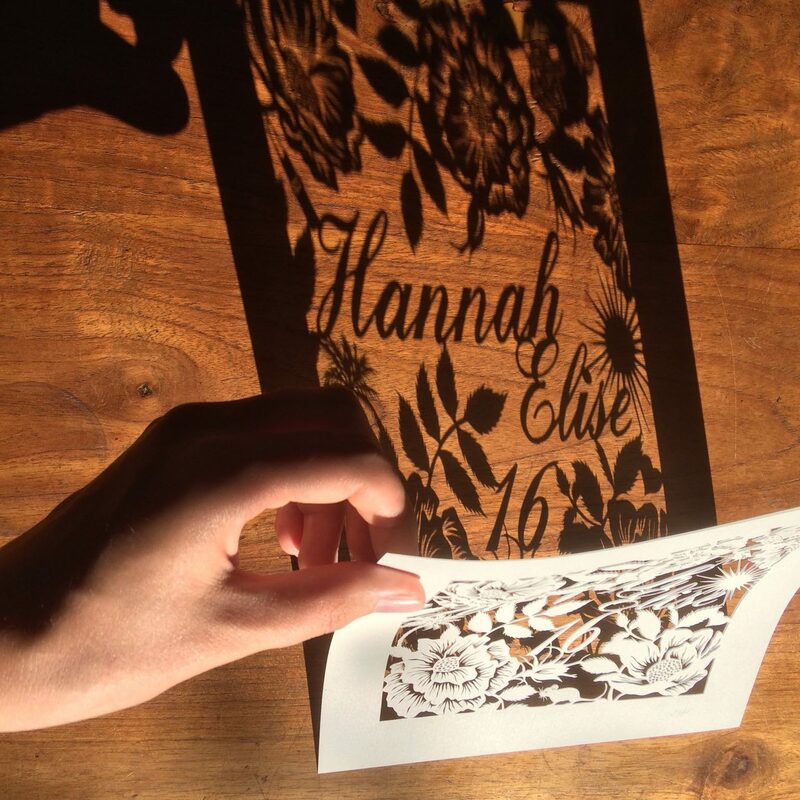 The first design she sent, based on our input, was an immediate hit and even more beautiful than we had hoped. It is really amazing how she managed to grasp the appearance of our cats; they really look amazingly alike! Furthermore, it was very pleasant during the design phase, that Marthe made suggestions about what could work well, including sketches to clarify it. 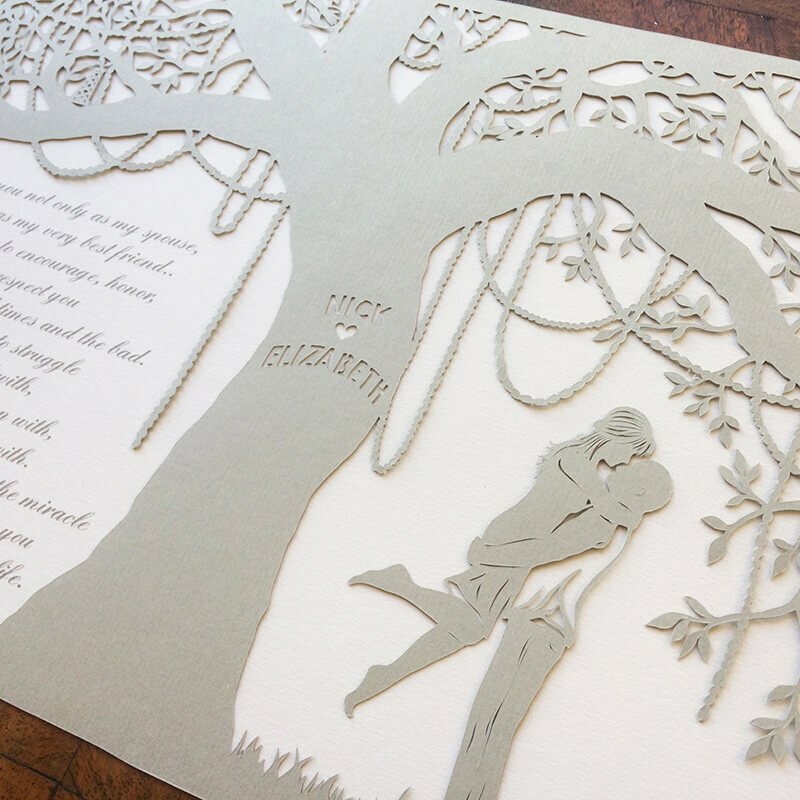 During the entire process – from the first request to framing tips – Marthe was always extremely helpful, quick and friendly. 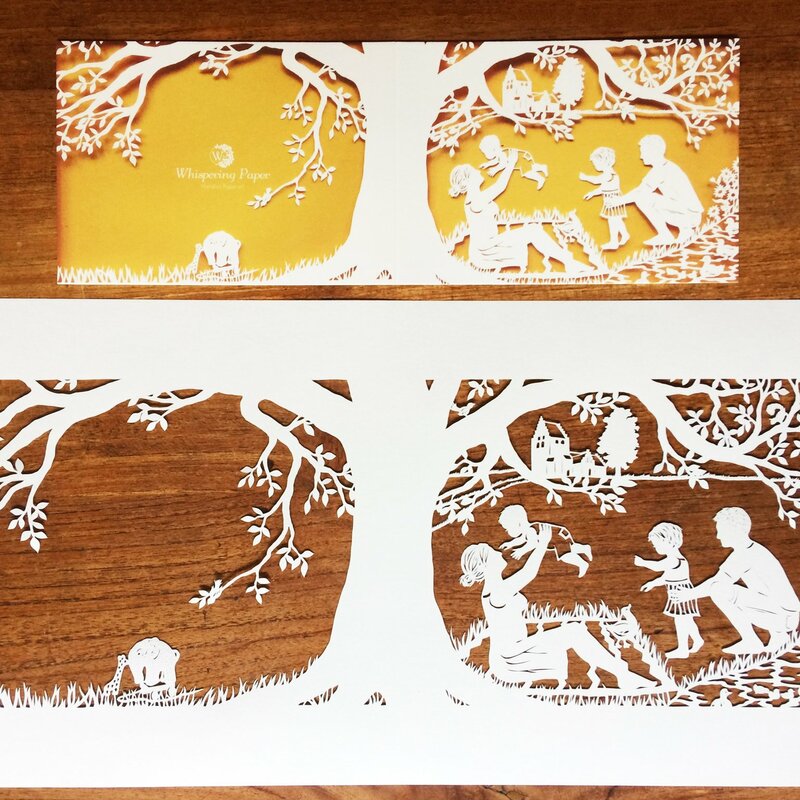 The result is a unique and personal work of art, to which we have already received many positive reactions: a framed papercut for the baby room and beautiful birth announcements. The way in which Marthe had packed everything, further demonstrated her personal attention, creativity and eye for detail. 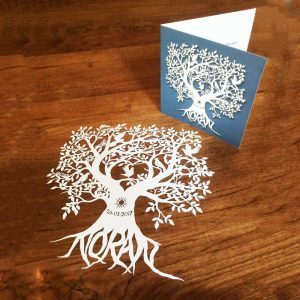 In short: if you want a unique (birth) card including artwork, I warmly recommend Whispering Paper! “Marthe heeft met het geboortekaartje van onze zoon Guus onze verwachtingen meer dan overtroffen. Het eerste ontwerp dat ze op basis van onze input stuurde was meteen een schot in de roos en nog mooier dan we al hoopten. Het is echt ontzettend knap hoe ze de oogopslag van onze katten heeft weten te vatten; ze lijken echt verbluffend goed! Verder was het tijdens de ontwerpfase erg prettig dat Marthe suggesties deed over wat goed zou kunnen werken inclusief schetsen om het te verduidelijken. Tijdens het hele proces – van de eerste aanvraag tot tips voor het inlijsten – was Marthe steeds uiterst behulpzaam, snel en vriendelijk. 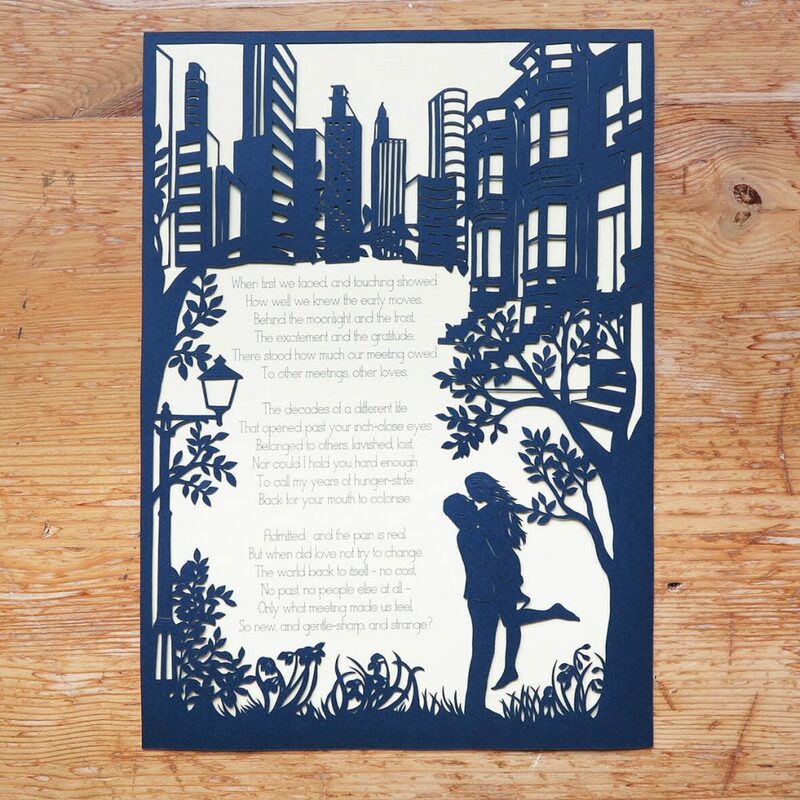 Het resultaat is een uniek en persoonlijk kunstwerk waar we al veel positieve reacties op hebben ontvangen: een ingelijste papercut voor op de babykamer en schitterende geboortekaartjes. De wijze waarop Marthe alles had ingepakt, gaf nog eens extra blijk van haar persoonlijke aandacht, creativiteit en oog voor detail. It looks amazing! Thank you so much for all of your help! I can’t wait to give it to her! Please let me know if you need any additional information for shipping or anything else. Thanks again! I am so happy – this was such an enjoyable collaboration for me; working with you has been wonderful. I can’t wait to surprise my partner with it, he is going to love it! And look at it every day in our home! It looks wonderful! I’m super excited about it, thank you so much. I think it turned out great. The detail of the flower bouquets and the tulle on the arch is incredible. I really really like it, and I know Kylie is going to love it as well. I can’t wait to frame it! Thanks so much; I can’t even imagine the depth of concentration it takes to do something like this. Such details. You score especially with the city hall from Culemborg. 😉 The longer you look at it, the more you see. The initials! So cool! K(…) will be so happy. Such painstaking work. A thousand thank you’s and I look forward to the mail! (And ofcourse I’ll let you know what (K…) thought! Wat een details. Vooral stadhuis Culemborg scoor je punten mee hoor ;). Hoe langer je kijkt, hoe meer je ziet. De initialen! Heel tof! Wat zal K(…) blij zijn. Wat een monnikenwerk zeg. Duizendmaal dank en ik kijk uit naar de post! (En ik zal je natuurlijk laten weten wat K(…) er van vindt! 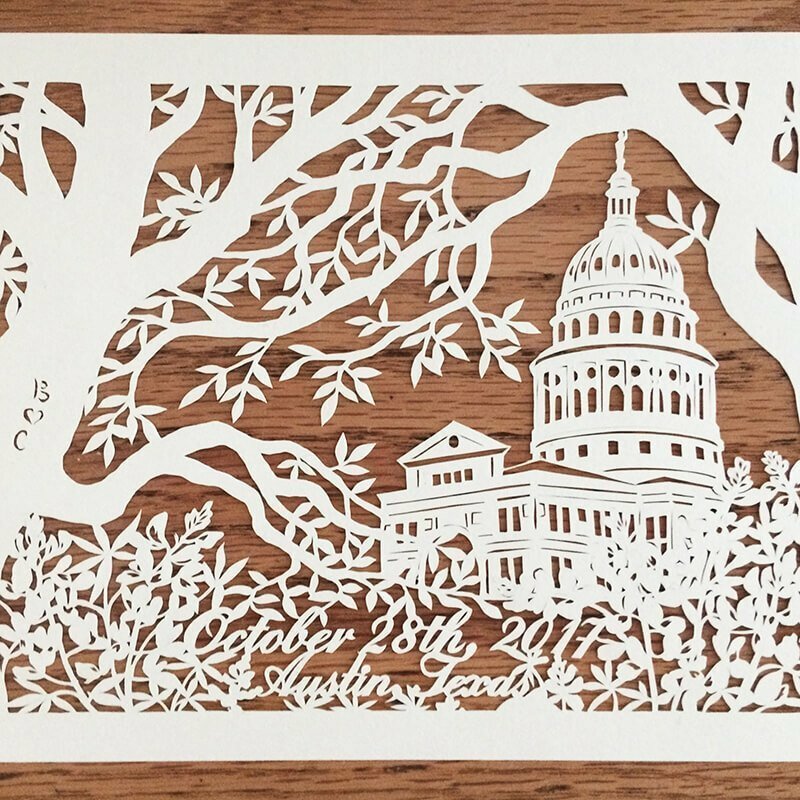 It’s absolutely perfect can’t wait to see in person! Oh, so beautiful! We think it’s perfect! ???? Oh wat mooi! Wij vinden m perfect ???? 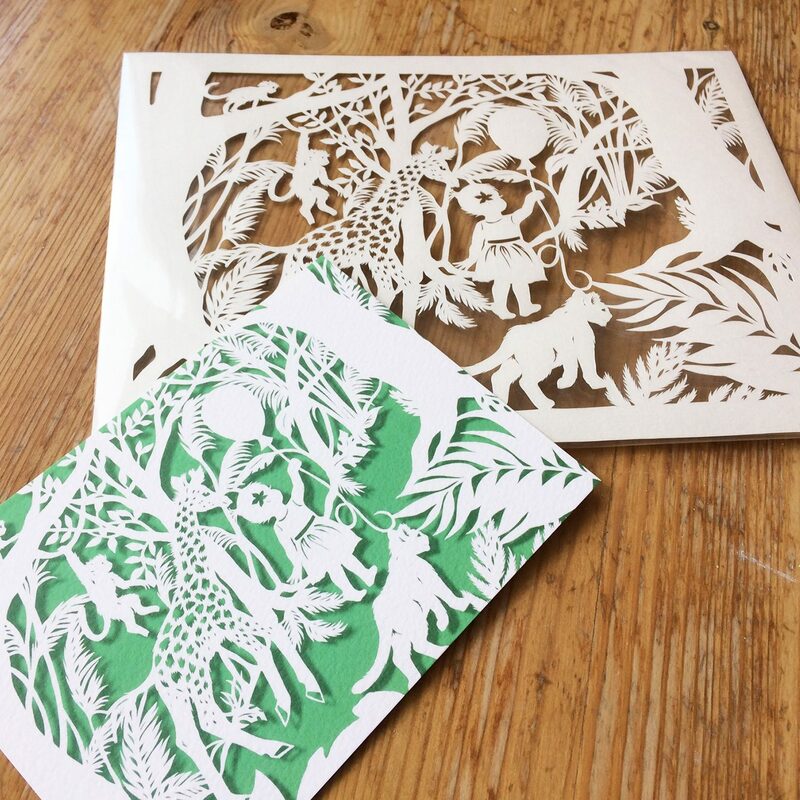 The package arrived on Saturday and we are completely happy with the paper cut. 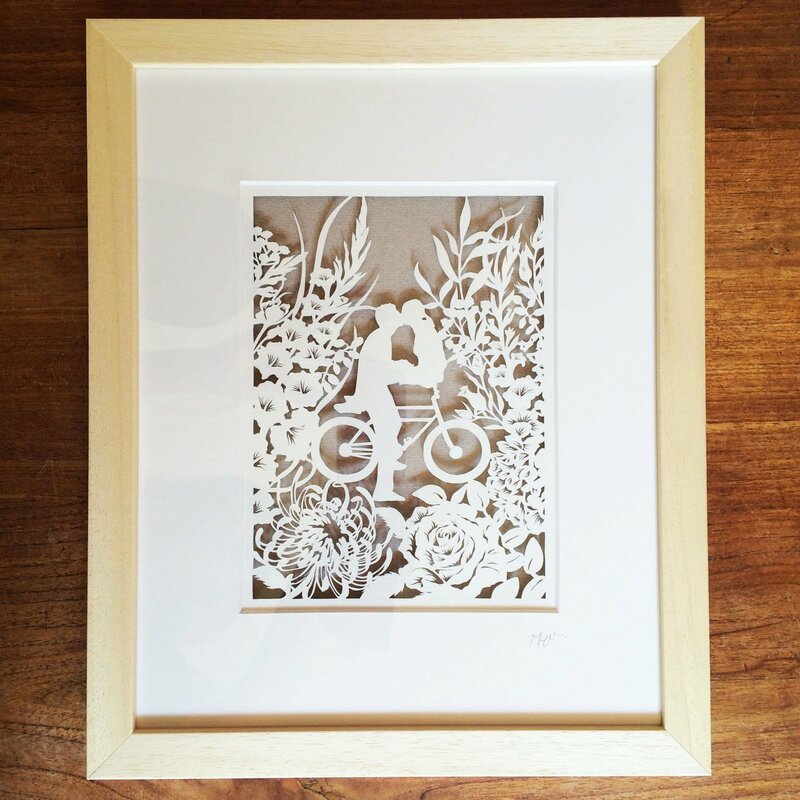 I have decided that the frame I thought to use is too small and will be getting a double glass type that is 30×40!! Thank-you once again, it is just so lovely. Yes, it’s perfect like this! And like J(…) already said; it looks amazing! Hoi Marthe! Ja zo is ‘ie helemaal goed! 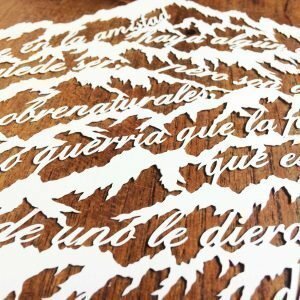 I opened the paper cuts from my sister today and they are so beautiful. Thank you so much. You’re ridiculously talented. They are such a special keepsake that I will always treasure. 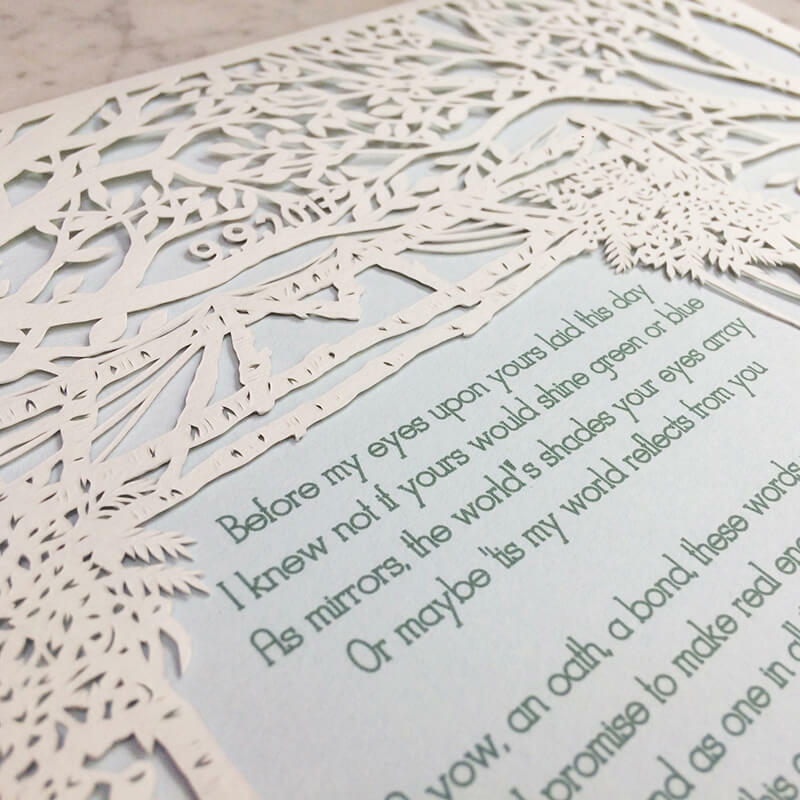 We just received the cards and the papercut and they are so beautiful! 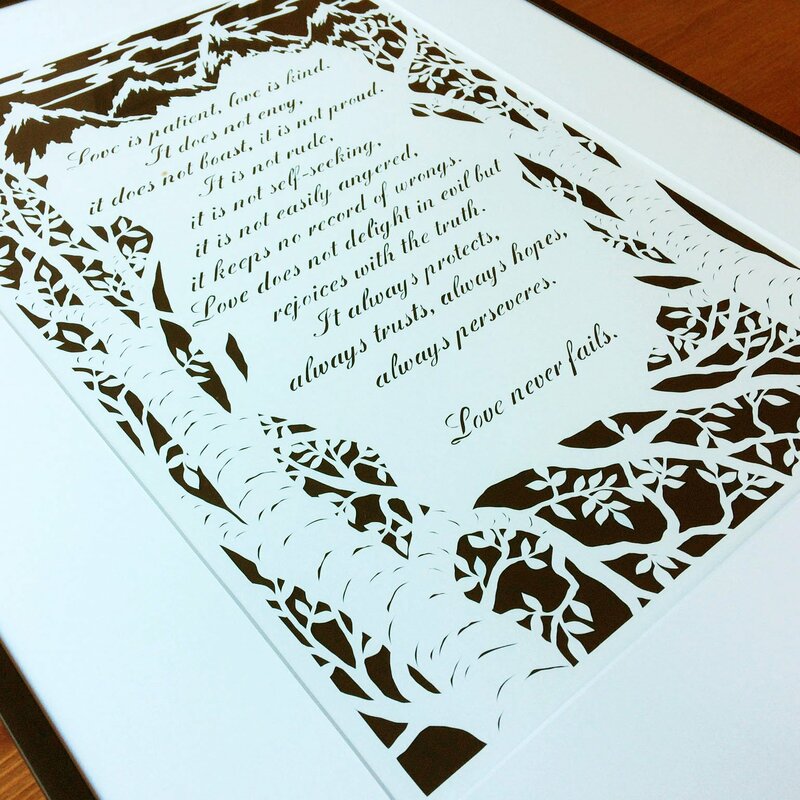 Once we’ve framed the papercut, I’ll send you a picture of it right away. Many thanks for your speedy process. Even with an extra fawn and stickers. Really great! Just let me know if you’d like a testimonial somewhere. 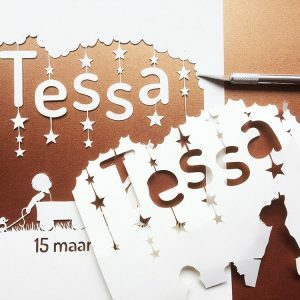 We hebben de kaartjes en de papercut net ontvangen en wat zijn ze prachtig! 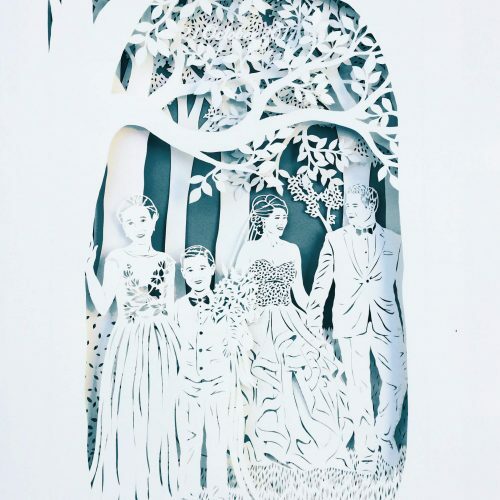 Als we de papercut hebben ingelijst stuur ik je meteen een foto. hertje en emblemen. Echt geweldig!! Als je iets van een referentie ergens wilt hebben dan laat het maar weten. It’s beautiful!! We’re doing the hike right now! 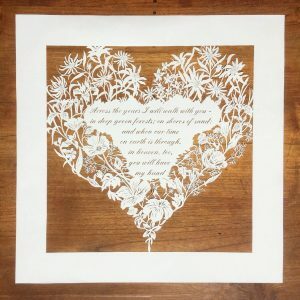 My husband loved the papercut and I know it’s something we’ll keep forever. Thank you so much for all your help. 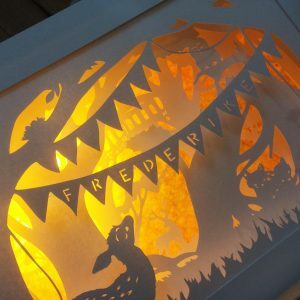 “It also was such a festive package, all nicely wrapped and with the separate cards, it just felt complete. de schouderklopjes voor het uitkiezen van het cadeau. ze in het werk wilde hebben. Echt petje af! 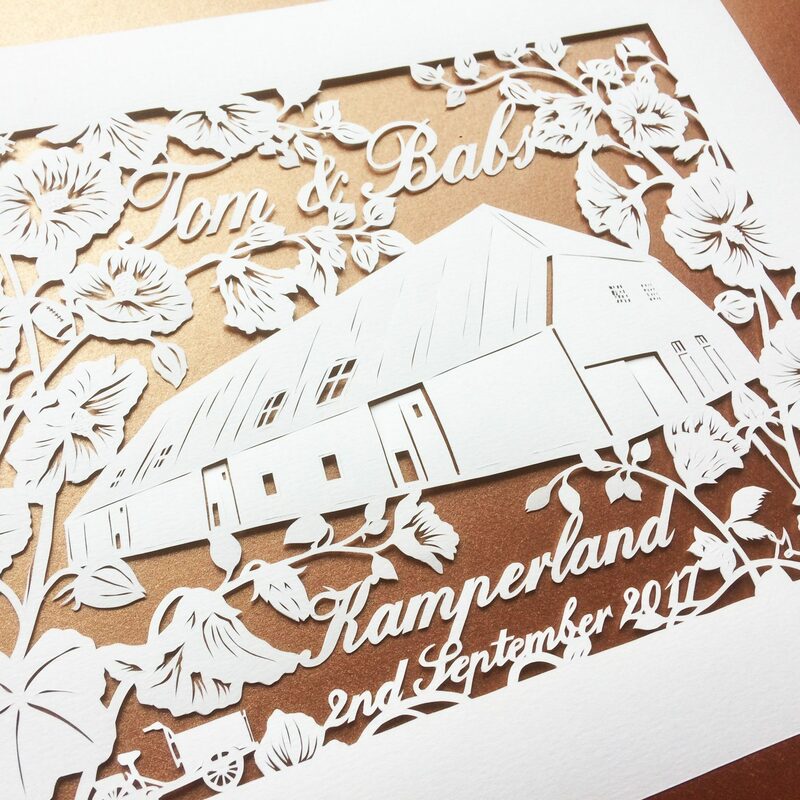 We cannot wait to give T(…) and B(…) the paper cut when they return from honeymoon! Thank you so much and we will definitely be in touch to arrange one for us! 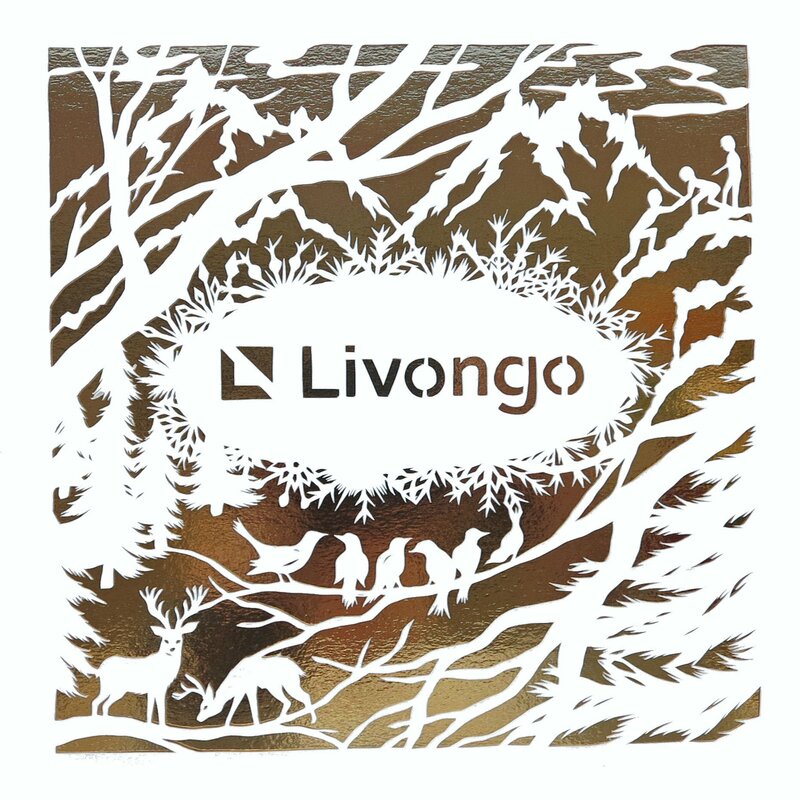 I received the cutout today – so much faster than I would have thought! It’s so beautiful. 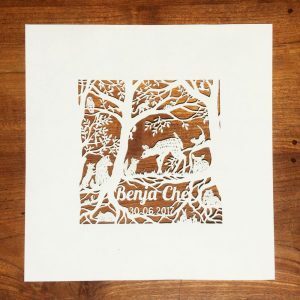 I’m really thrilled with it, I think it will make such a beautiful gift. WOWWWW! Its SO beautiful. I was planning on framing it to give to my husband – but you have done such MAGNIFICENT packaging job- so lovely that I am VERY torn. It’s just so lovely, I am speechless. I just saw the joined hands – PERFECT. I will try and take a photo of it when I have it framed. I feel you have handed to me your well thought out, cared for, stressed over project to complete. I will do my best to see that it is properly finished. You are so VERY talented, creative and patient. 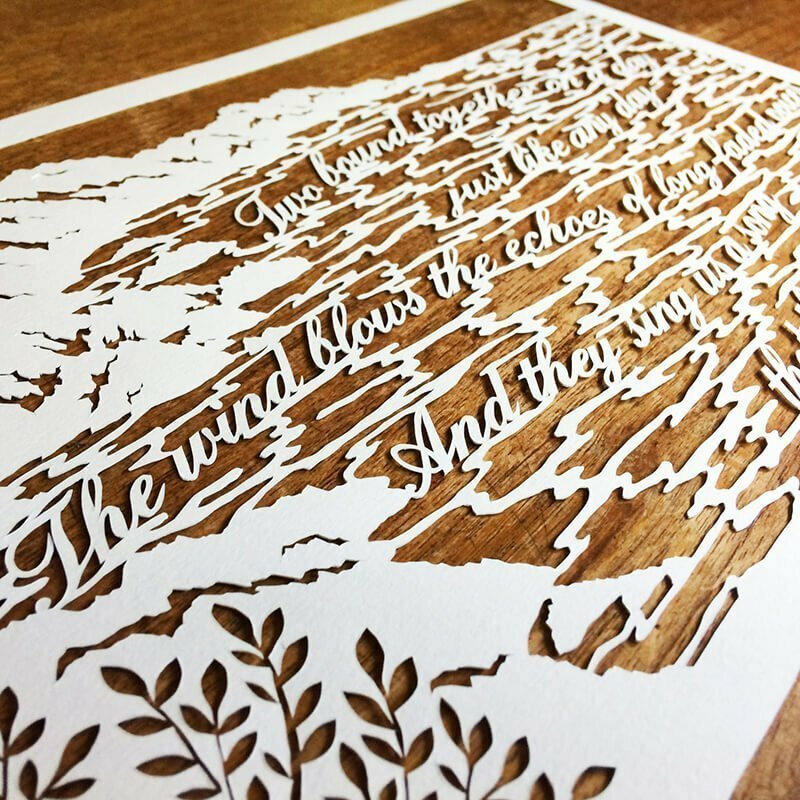 We really love the papercut. 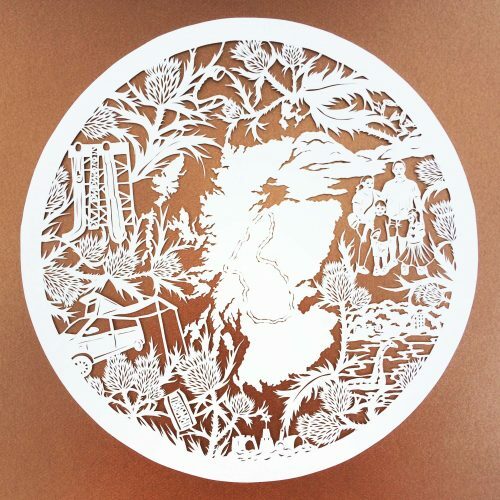 We vinden de papercut super mooi. Wow wow wow! This is so beautiful. We are totally speechless. Such enormous quality! Very special how you managed to incorporate it all. Really great. 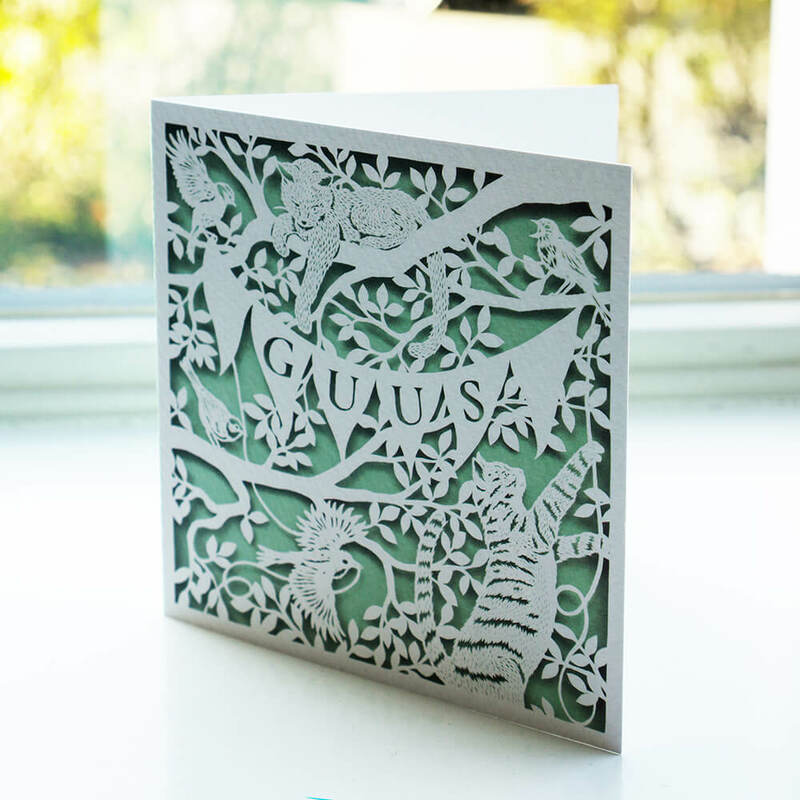 A very nice card! Nice to see how you incorporated all in the design. We originally had a big giraffe in mind, but this is much better. Well done! Kudos! We’re super happy with it and impressed with all the details. Hartstikke leuk kaartje! Leuk om te zien hoe je alles hebt verwerkt. We hadden eigenlijk allebei een grote giraffe in ons hoofd, maar dit is veel beter. Chapeaux! We zijn er super blij mee en onder de indruk van alle details. Thank you so much, it looks even more wonderful in person! 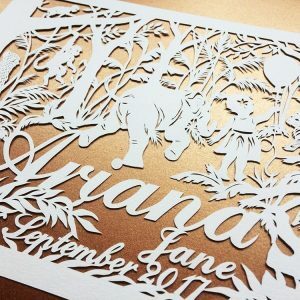 Yes, we were able to finish the card on time and greatly appreciate your quick turn around and beautiful design. I hope you had a great weekend, and keep up the amazing work. We’ll be watching. Oh, my gosh! I LOVE IT! Thanks so much, Marthe—it’s exactly what I had hoped for! 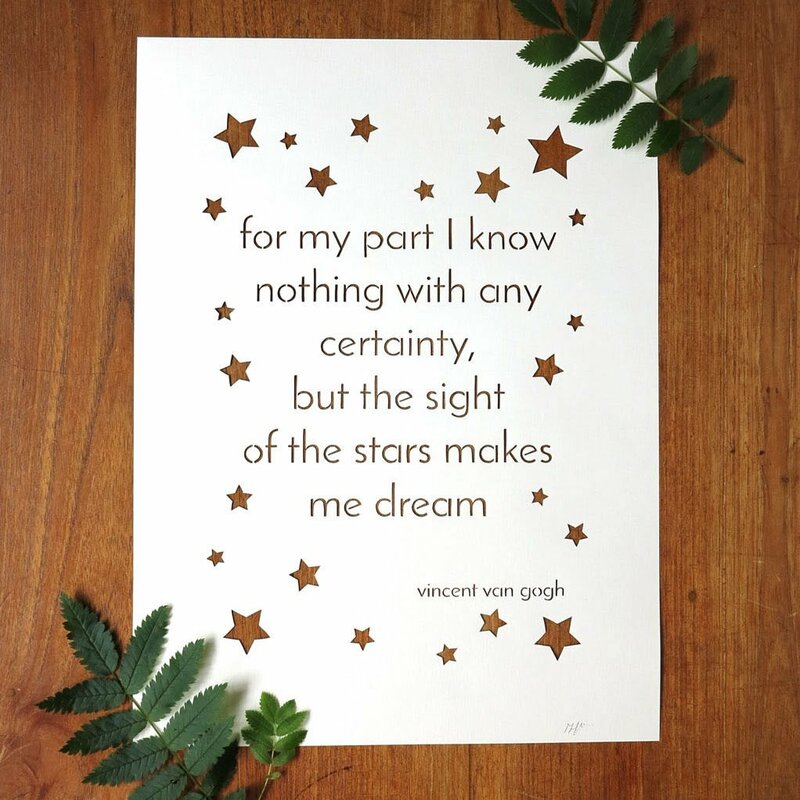 I contacted Marthe with a custom order request for a paper cut with a Van Gogh quote for my son’s nursery. From the start of our project through the delivery, Marthe was responsive, friendly and always helpful (especially during the design process). 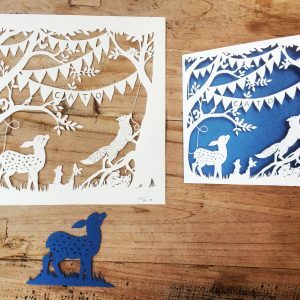 She gave great feedback & advice when I was uncertain about different aspects of the piece. The end result is beautiful and even better than I could have imagined. It came double wrapped in protective bubble wrap (and decorative tissue! ), which was very much appreciated as my husband was carrying it home in his luggage. I cannot say enough good things about working with Marthe!